Brief notes are summaries of briefings and conversations I’ve had, with only light “analysis.” This one covers a briefing I had with GWOS’ David Dennis and Simon Bennett. 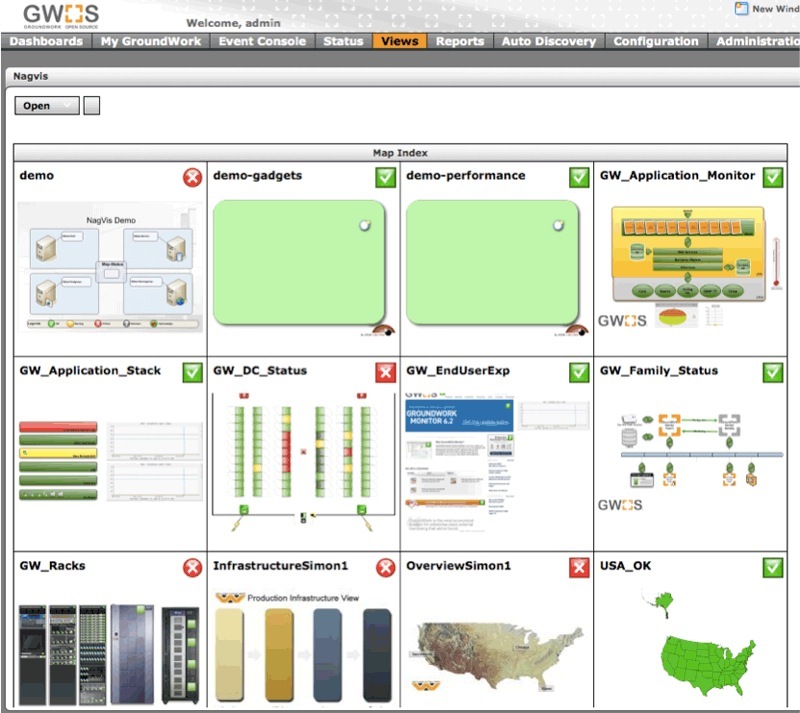 GroundWork Open Source (or “GWOS”) released version 6.3 of their enterprise IT monitoring stack today, GroundWork Monitor Enterprise. New features and improvements include further Java support (with a native Java agent), dashboard and portal-friendly refinements, and network data from Cacti. As usual, there are other UI tweaks, bug fixes and such. Of note for trend-watchers is their attention to the iPad as a device: they’ve spent time tweaking the UI to work in that form factor, e.g., where mouse-overs don’t exist for little pop-up windows. Connected to that, during the briefing, David Dennis said, are signs of a begrudging acceptance of IT dashboards among IT staff. While ITSM dashboards have been around forever, he said, GWOS is seeing more interest in dashboards from part of the IT populace that used to poo-poo dashboards. One of the other IT staff demographics David and Simon Bennett mentioned during the call was a (further) collapsing of IT roles. Instead of having 1-person per silo, people (or “roles”) are expected to manage across more silos. This manifests the need for all-in-one tools or, at least, tools that give a shallow view of everything rather than just a deep view of one thing. Other anecdotes from IT Management land confirm glimmers sort of de-sliofication, but it’s still pretty early for that to be mainstream trend. See the 6.3 what’s new page for all the details. Simon also has a webcast demo’ing and going over new features. GWOS made a “Quickstart” package of it’s stack a year ago. In this release, it runs at $49 and will monitor up to 50 devices. After that 50 devices for $49, the entry price for QWOS is $2,000 As you would expect from such a low price-point, they’ve seen a good amount of purchases, esp. among the “geeks on wheels” set of “IT pros” that support multiple little shops, you know, dentists and such. These are the bread-and-butter guys of Spiceworks, Solarwinds, and others (way) below the “Big 4” IT Management customer-base. The Quickstart product has grown their customer base over the past year, they said, and given them an addition sub-market – something in-between the open source folks and the enterprise-grade IT staff. It’s interesting to reflect on how this model compares to open core and freemium approaches, both from the angle of the vendor and the buyer. Many open source (based) IT Management startups have been moving away from their open source “roots,” and after about a year of this, there’s, in theory, enough data to start drawing some conclusions about what works and doesn’t (what drives more downloads, installs, revenue, and then conversions to higher priced offerings). Then there’s weird-birds like Spiceworks, of course, that have different revenue motivators. It’d be fun to get some of them in a room and see what happens. Disclosure: Groundwork has been a client in the past, as has Solarwinds. Spiceworks is a client. See the RedMonk client list for other relevent clients. Categories: Brief Notes, Marketing, Open Source, Systems Management.